Summerhill solar farm commences construction. The 5MW Summerhill solar farm will officially commence construction tomorrow – the farm will be located at the former Wallsend Borehole Colliery. All the renewable energy created by the Summerhill solar farm will be owned by the Newcastle City Council who will then be approximately 50% powered by renewable energy. Carnegie’s wholly owned subsidiary Energy Made Clean and JV partner Lendlease have been awarded the design and construction of the project, according to PV Magazine. It’ll be built on top of the former Wallsend Borehole Colliery. Read more about the tender here. According to the Sydney Morning Herald, the solar plant’s cost is around $8m, with $6.5m of this provided in the form of a loan by the Clean Energy Finance Corporation. Initial modelling shows that this plant will save around $350,000 per annum, also noting that the city council’s cost of electricity has double over the past few years – making this a very attractive option to help offset the highly volatile wholesale price of electricity. It’s listed as ‘battery ready’ according to the Altenergy website. “The solar farm will produce enough energy to run the equivalent of all of our council facilities during the day, which represents significant environmental returns for ratepayers and millions of dollars in savings on electricity costs,” Mayor Nelmes said. “While cost savings are certainly a critical factor in our decision to build the solar farm, sustainability initiatives are about more than just money and our community expects us to be good environmental stewards,” Ms Nelmes continued. This is a fantastic attitude and we look forward to seeing how well the SUmmerhill solar farm performs for the Newcastle City Council. More top news for council solar, which has been growing in leaps and bounds over the last 18 months. Read some more articles about council solar below! Council Solar in Bendigo gets a boost. Carnegie Clean Energy have announced the development of a 10MW solar farm in Northam, east of Perth in Western Australia. This project will be the first of what is planned as a nationwide rollout. Carnegie’s wholly owned subsidiary ‘Energy Made Clean’ and Lendlease will work together on the project after inking a clean energy partnership in December 2016. The project is expected to cost between 15 and 20 million dollars, as per RenewEconomy. Funding has not yet been secured. MD and CEO of Carnegie Clean Energy, Dr. Michael Ottaviano said “…ability to add utility scale battery storage is a new product offering we will integrate into our own solar farms and also to developers of utility scale solar farms as the technology costs continue to decline in the coming years.” The plant will include 34,000 solar panels over 25 hectares of land and will produce enough energy for 3,800 homes. According to SBS construction will start later on this year and the farm will be operation by the end of 2017. On the back of this news, Carnegie Clean Energy Ltd (ASX:CCE) continue their strong performance on the ASX in 2017 – at close today (20.03.17) they are up 6.76% to 0.079. Carnegie have already been in the news this week as Dr. Ottaviano confirmed they were in talks with the SA Government over the spiralling energy crisis. Ottaviano said his talks with the government were in regards to developing a ‘…home grown, utility scale battery energy storage solution to the State of South Australia, and indeed to other State Governments across Australia’. Other local companies such as ZEN Energy and Lyon Solar Group have been linked to the project after Tesla’s boss Elon Musk advised his company could delivery the system within 100 days or it would be free. 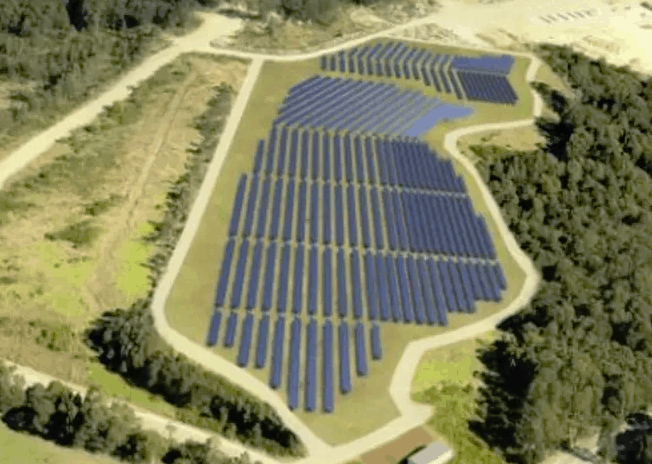 Carnegie’s Garden Island Microgrid starts construction.